Zimbabwe's election at the end of the month will take place in the context of decades of politically motivated gross human rights violations, including mass killings, the forced disappearance of critics and suppression of peaceful protesters, Amnesty International said in a new briefing published today. The briefing, Breaking away from the past: A human rights manifesto for Zimbabwe’s political parties and candidates, offers seven human rights recommendations for the candidates and political parties battling for control of Zimbabwe in the 30July election. “As the country holds its first elections without former president Robert Mugabe on the ballot paper, it is time for Zimbabwe to break with decades of gross human rights violations. Under Mugabe’s rule, the election period was typically marred by killings, disappearances and arrests,” said Muleya Mwananyanda, Amnesty International’s Deputy Director for Southern Africa. Former president Robert Mugabe ruled over a repressive state for 37 years, forcing millions of Zimbabweans out of the country in search of a better life elsewhere. Past elections have been characterized by human rights violations, some of which have been documented by Amnesty International and election observers. More than 200 people were killed during the 2008 election amid violence against opposition supporters. In state-sponsored violence that began in 1984, known as Gukurahundi, about 20,000 people were killed and many others disappeared. One of the hallmarks of Mugabe’s rule was a brutal crackdown on human rights defenders. Journalist and pro-democracy activist Itai Dzamara has been forcibly disappeared since 9 March 2015 after demanding the resignation of Mugabe for violating human rights and mismanaging the economy. There has been no meaningful attempt by the authorities to investigate his whereabouts and resolve the crime. Other activists who were abducted, disappeared or killed for political reasons include Paul Chizuze, Tonderai Ndira, Patrick Nabanyama, Cain Nkala, Talent Mabika, Richard Chiminya and Better Chokururama, Jestina Mukoko, Justin Mutendadzamera, Hilda Mutendadzamera, Remember Moyo and Gilbert Moyo. Others such as Felix Mazava and Gabriel Shumba were abducted and/or tortured before being released. Since 2000, Amnesty International has documented cases of excessive use of force by security forces. Senior Zimbabwe Republic Police (ZRP) officials have failed to denounce human rights violations by police officers, particularly beatings, torture and other ill-treatment of detainees at police stations. Following the recent change of leadership at the ZRP, there must be a break from the impunity of the past. In the past, police have used the vaguely worded Public Order and Security Act to prevent opposition party activists and civil society organizations from convening meetings to discuss human rights and governance concerns. The police routinely used the Public Order and Security Act, Access to Information and Protection of Privacy Act and the Criminal Law (Codification and Reform) Act to deny perceived government opponents their rights to freedom of expression, association and peaceful assembly, including by using excessive force to disperse peaceful assemblies. Other human rights issues that the briefing highlights include unresolved historic forced evictions, for example the 2005 operation Murambatsvina which displaced more than 700,000 people, and the need for politicians to commit to prioritizing women and girls’ health rights. “Zimbabwe can only become a thriving country when human rights and the rule of law are the key guiding principles of society. Anything short of this will only shortchange the country of its full potential,” said Muleya Mwananyanda. Zimbabwe will hold its national elections on 30 July 2018. The vote will combine presidential, parliamentary and local government elections. 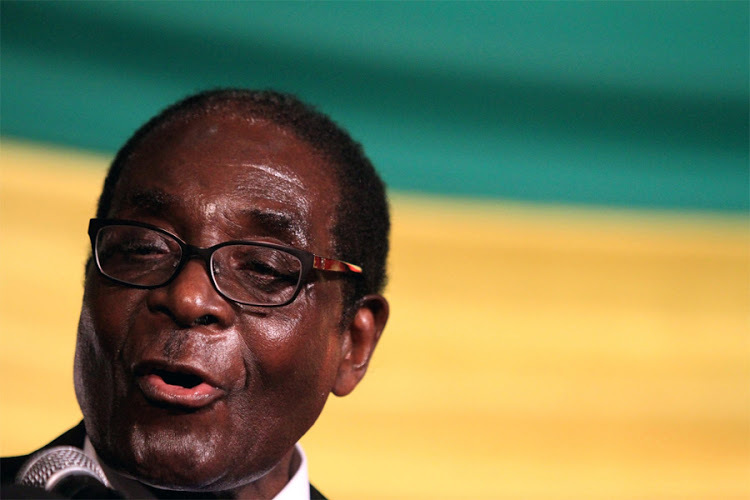 The vote will be the first without former president Robert Mugabe since independence in 1980 from Britain. He resigned on 21 November 2017 after 37 years in power. Mnangagwa fired more people than he created jobs!